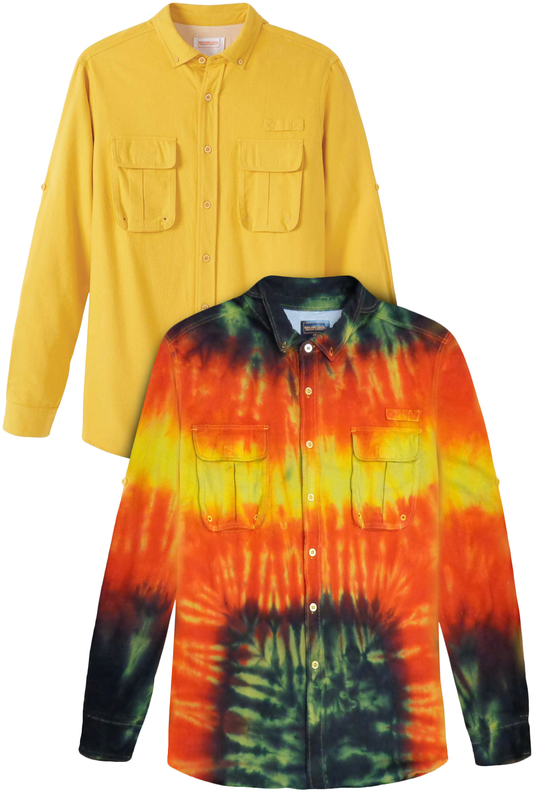 Made for the outdoors, this classic style flannel shirt in a nice solid yellow color or unique tie dye pattern gives you the laidback style you want and the function you need. It features secure chest pockets, adjustable cuffs with utility loop, roll-up collar for sun protection and vented cape back with mesh lining for air flow. 4x - Chest: 58/60" | Waist: 54/56"
5x - Chest: 62/64" | Waist: 58/60"
6x - Chest: 66/68" | Waist: 62/64"